Today Lulu & Ludwig dropped their luggage off before they went to visit the Summer Palace. Afterwards we had a delicious lunch together at a good guotianr restaurant before they had to leave to fly back to Shenzhen. Later fixed gear bike friends came and tried out the tall bike. 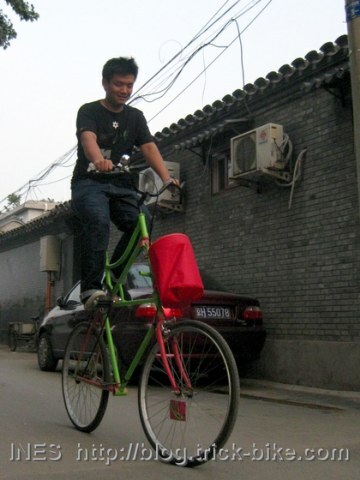 It still amazes especially the Chinese people how you can get on and off. But it is just like a bicycle only the seat is a little bit higher. 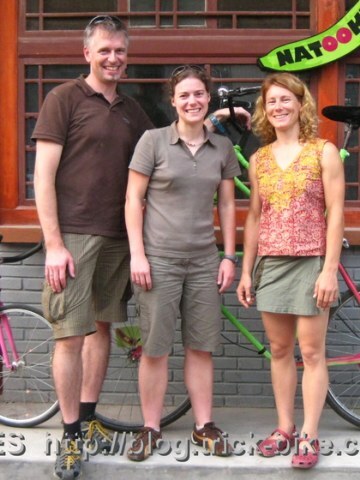 This entry was posted on Dienstag, Juli 28th, 2009 at 22:33 and is filed under Beijing, Cycling. You can follow any responses to this entry through the RSS 2.0 feed. Both comments and pings are currently closed.